The arrival of iOS 12 brings a slew of new features, like Screen Time, grouped notifications, and Memoji. It’s a more measured update that focuses primarily on improving performance. After the failures of iOS 11, the arrival of iOS 12 is very welcome. But for those who wanted sweeping changes, the update is another disappointment. Once again, the home screen remains unchanged, while customization is as elusive as ever. There have been reports claiming iOS could see a home screen redesign next year, but that means iPhone owners will have to wait at least twelve months to see what Apple has planned. While it’s disappointing that Apple refuses to tweak iOS’s static grid of icons, I’m more disappointed by iOS 12’s lack of always-on display support—something I talked about ahead of the iPhone X’s arrival last year. It’s something Android manufacturers have offered for years, and something Apple desperately needs to introduce, because it could drastically change the day-to-day experience in a positive way. Apple did add a “raise to wake” feature with iOS 10, which wakes the device’s screen when the user either taps the display or picks up their phone. But the feature doesn’t go far enough—and it can be finicky—requiring interaction from the user when no interaction is necessary. I’d much rather glance at my phone to see the time, weather, and more without having to pick it up. It’s a quality of life thing that makes me truly envious of devices like the Pixel 2. I realize it sounds small, but when a feature can improve your life for the better, that’s when technology is at its best. 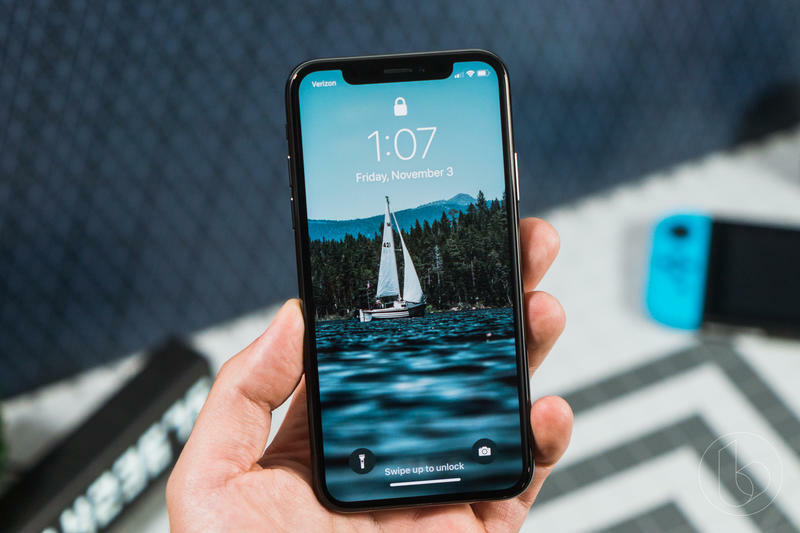 Now that Apple has shifted to using OLED technology, the iPhone X is the perfect platform for the company to introduce a similar idea. At the very least, it would be helpful for the iPhone X to show the time and date when the device isn’t in use. Apple doesn’t have to reinvent the wheel here. Not only will it be a useful feature, but it could potentially extend the iPhone X’s battery life. Rather than waking your phone just to see the time, it’ll always be there on your display. That’ll cut down on how often you touch and prod your phone throughout the day. To that end, adding always-on display functionality could help with Apple’s new Screen Time feature, which encourages users to use their phone less. I know it sounds like a stretch, but let me explain. How many times a day would you say you mindlessly reach for your phone just to check the time? I do it constantly; it’s a habit I’ve yet to break. Typically, when I pick my phone up, it inevitably leads to me mindlessly looking at Instagram or Reddit, and down the rabbit hole I go. 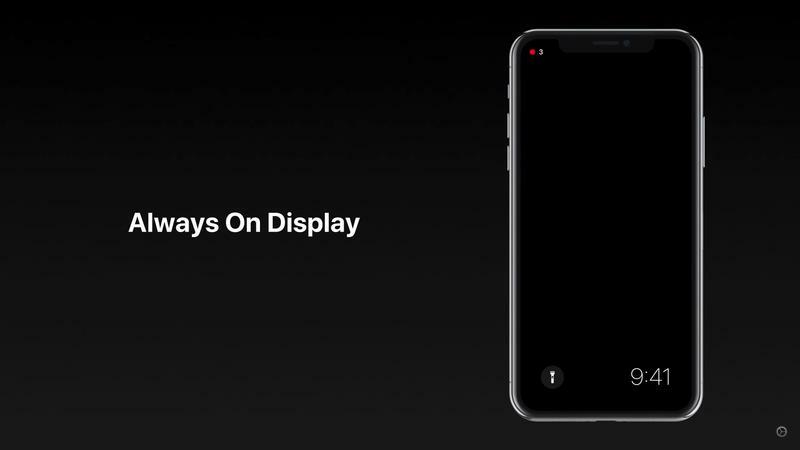 If Apple were to add an always-on display feature, I wouldn’t have to interact with the device to get useful information; I could simply glance over and get on with my day. That, in turn, could potentially lead to less time spent using the device. The feature’s absence is particularly frustrating because there’s no question Apple has the means to implement it. The company has toyed with similar ideas in the Apple Watch, and we’ve seen some really cool concepts that posit how it might look in iOS. Hint: It could look amazing! There’s no reason why Apple can’t add Apple Watch-like complications to the always-on display. Users could see when their next meeting is, what the temperature is outside, and what song is playing nearby. Users could then further customize the experience through third-party integration. Yet, Apple seems content by raise to wake, which provides very little information beyond notifications, time, and date. It’s time for Apple to rethink its approach. Information should be there for users to see at all times. With a big home screen redesign rumored for 2019, Apple could finally adopt the feature while introducing its own ideas. 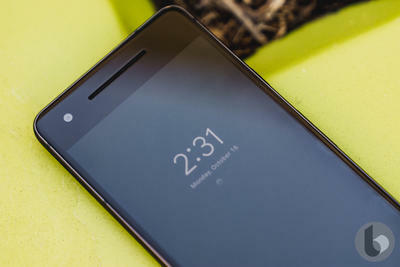 For now, iPhone owners like me will have to continue looking on at devices like the Pixel 2 in envy.